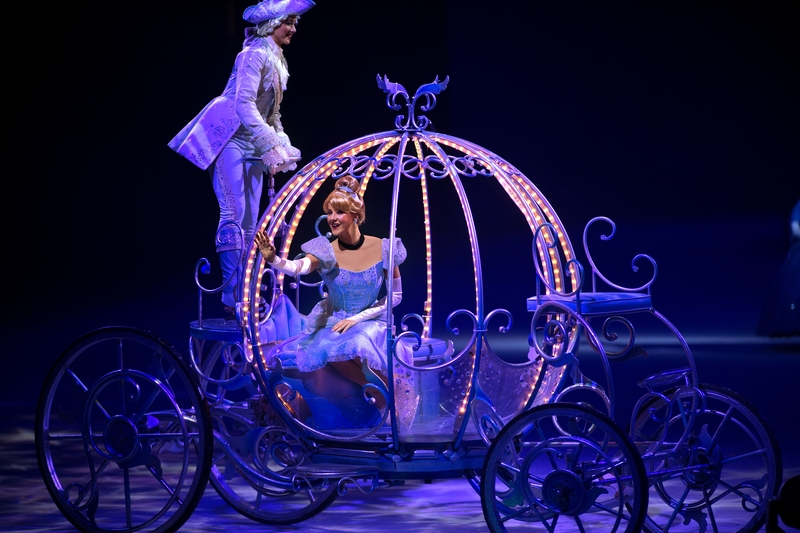 Win 4 Tickets to Disney on Ice presents Dare to Dream for Valentine’s Day! Many people try to figure out the perfect way to say they love you to those who mean the most to them. Whether it’s your spouse or significant other, your kids, other family members, or your best friends in need of a Galentine’s Day, finding that perfect gift can be challenging… especially if you want to focus more on the experience as opposed to just “more stuff”. And while surprising your loved one with trips to Disneyland, Disney World, or some other Disney destination may be nice, it’s not always practical (or in the budget). 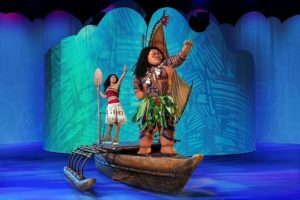 But luckily for you, Feld Entertainment has Disney on Ice shows touring all over the world, and for one lucky person in the Sacaramento, CA area (or willing to drive there), we have a special treat for you! It’s Disney on Ice time again! Tips from the Disney Divas & Devos is super excited to be partnering once again with Feld Entertainment to be offering a pack of four tickets to one lucky winner to see Disney on Ice presents Dare to Dream on Thursday, February 14th, 2019 at the Golden 1 Center in Sacramento! 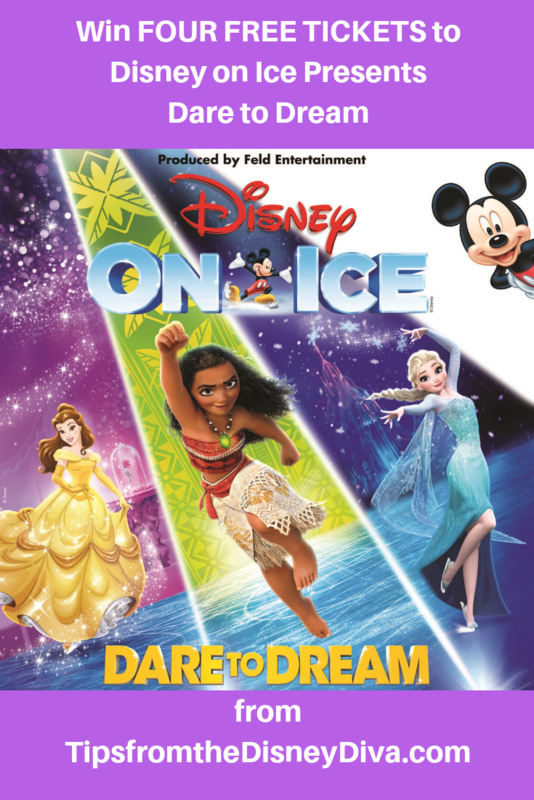 Celebrate what’s possible as five daring Disney Princesses spark the courage inside us all in Disney On Ice presents Dare To Dream, skating into Sacramento this Spring! Hosts Mickey Mouse and Minnie Mouse bring the Disney magic to life and take audiences on an expedition across raging seas and snow-covered mountains in this action-packed extravaganza with the beloved characters from such movies as Disney’s Beauty and the Beast, Frozen, Tangled and Cinderella. 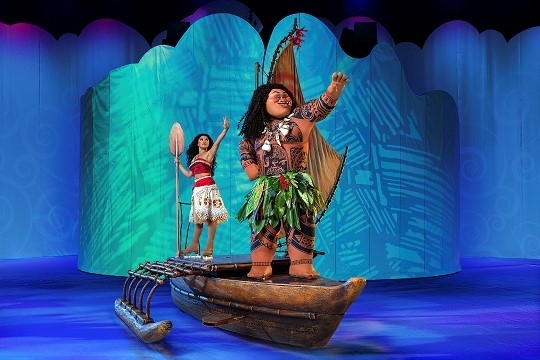 One of the biggest upcoming highlights of this particular production is that Moana, along with her friend, the demigod, Maui, will be making their debut for the first time in a live production! With great songs and amazing choreography, this will definitely be an event you don’t want to miss! And in true Maui fashion, we’re happy to tell you, “You’re welcome”. 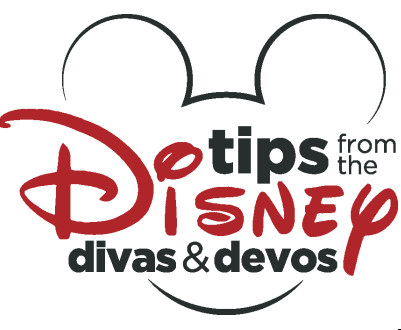 Disney Diva Tip: Make sure to arrive early! 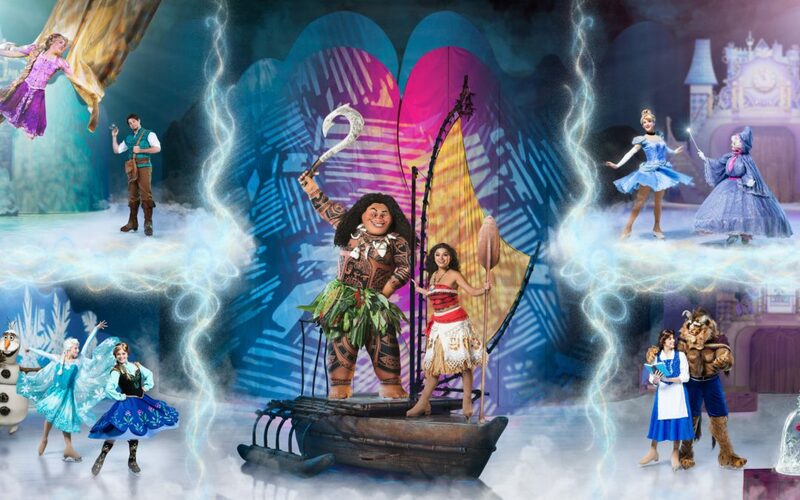 Not only will this ensure you have plenty of time to find parking, grab snacks and souvenirs, use the restroom, and find your seats, but fans are encouraged to arrive early to celebrate family and tradition with a special sing-along with Miguel from Disney•Pixar’s Coco in a live fiesta Disney On Ice style at the start of the show! Tickets start at just $10 on opening night on select seating, (not valid for VIP/Front Row premium levels), or they start at $20 each for the remaining performances on February 15-18th, making this experience fit comfortably in anyone’s budget. I mean, you can spend more money on eating out than that! And with all of that money you save, you can treat your loved ones to some great souvenirs (nothing says I love you like a snow cone in a souvenir cup)! So what are the details for the show? We have the information for you below! GIVEAWAY: So now that you know all of that information, here comes the important question… how do you enter to win four FREE tickets to the Thursday, February 14th 7pm performance in Sacramento, California? First, You must *LIKE* our Facebook page to be entered in this giveaway. Next, scroll down to the Rafflecopter link below and make sure to “like” and follow the rest of our social media pages, as well as those of our sponsors! All entries will be verified. The winner will be contacted via email at the end of the contest and have 48 hours to respond. If the winner does not respond, another winner will be chosen. The winner will need to pick up the tickets the night of the show at will call at Golden 1 Center. We wish you the best of luck and we hope you enjoy the show! I know my family is looking forward to it! We know this will be a truly magical way to spend Valentine’s Day and be an event that will have your loved ones reminiscing about for ages! Best of luck! Disney Diva Disclaimer: I am a Feld Family Ambassador, in exchange for my time attending and reporting my opinion of shows on this blog, as well as reporting to you the latest discounts offered, Feld Entertainment has provided me with complimentary tickets to Feld shows and opportunities to attend private Feld pre-show events, as well as a family four pack of tickets to one winner chosen at random through Rafflecopter. Though I do receive these benefits, I ALWAYS give an opinion that is 100% mine. Disney on Ice presents Follow Your Heart Giveaway Winner and There’s Still Time to Get Tickets! I have been growing to Disneyland since I was an infant, and now that I've married my Prince Charming (who even proposed in front of Snow White's wishing well), I am excited that I am now able to share the magic with my own children. I love wishing on stars and I still believe that dreams really do come true!